An inviting sphere and personal attention are the key words of “the pink pepper tree”which can also be found in the smallest details. The 8 bedrooms with en-suit bathrooms have a Mediterranean atmosphere with a touch of humour. 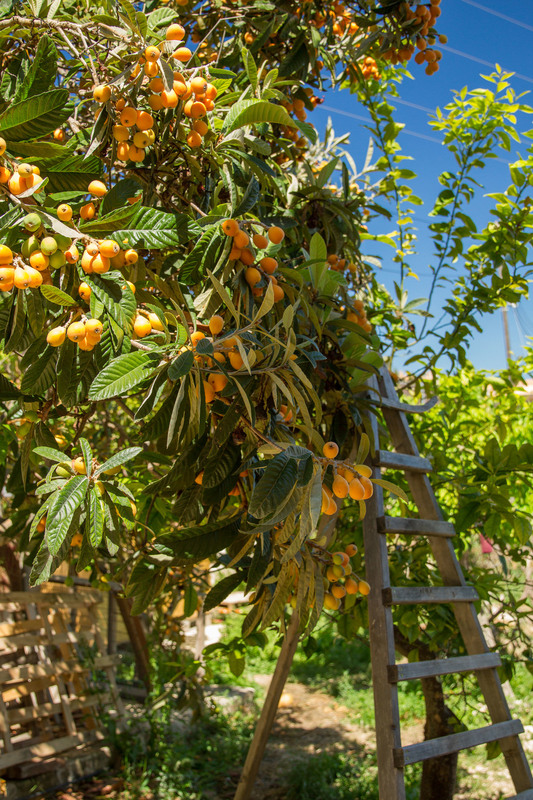 As well as a courtyard, and garden we have a beautiful orchard where we will create places to withdraw, relax and revive. 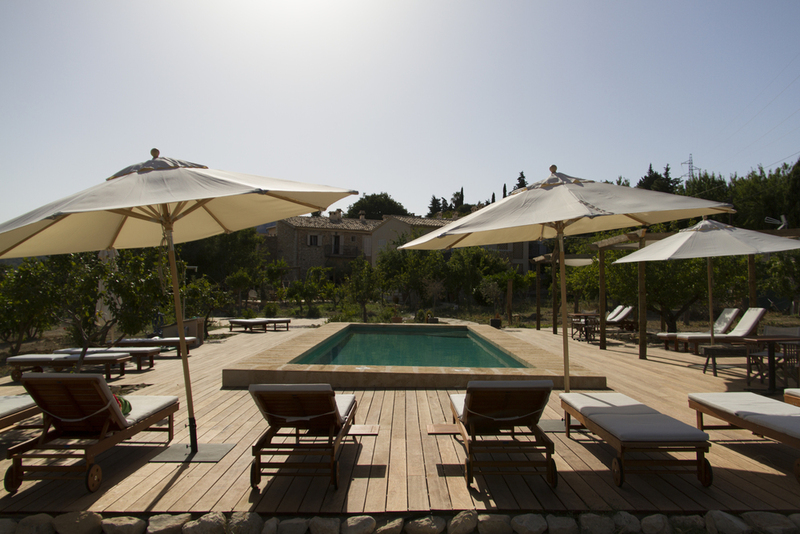 A chair or hammock under a fruit tree, a sun bed for around the pool or enjoy a glass of wine in our fragrant courtyard. Treat yourself to a massage or private yoga class in our wellness space. For us food and wine are one of the nicest ways to celebrate the customs and cultures of a land. The centre of the island has a wealth of restaurants steeped in Mallorcan traditions who we work with on a regular basis. We also work with many of the smaller bodegas on the island, specialising in organic or natural wines. Our kitchen is at the centre of the hotel and is more like a home kitchen than that of a hotel. It is here that Jacqueline cooks a 3 course delicious surprise menu each week using fresh ingredients from local markets or the garden. If you have an allergies or dietary wishes please let us know in advance. Our location and size of the pink pepper tree makes for an ideal place to relax alone, together or with family and friends. Apart from visiting the many beautiful sites in Mallorca we can put you in touch with bike hire, wine tasting, tapas tours and olive oil tasting. For special occasions like weddings or family reunions the whole hotel can hired! Our wellness activities can be arranged individual for groups with international teachers and practitioners.